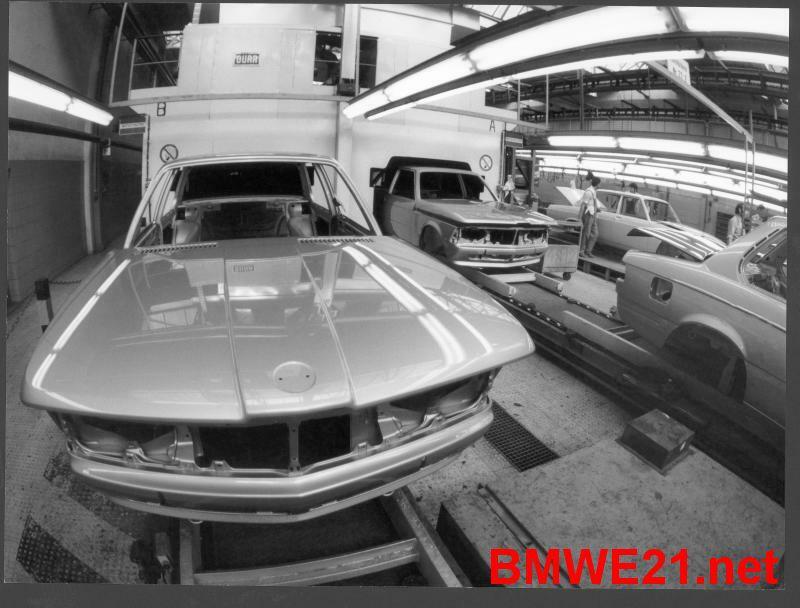 When the E21 3-series was introduced in July 1975, there were only four-cylinder M10 engines available. The range included the 1.6 litre 316, the 1.8 litre 318, the 2 litre 320 (320/4) and the 2 litre fuel injected 320i using Bosch’s K-Jet mechanical injection. As a result of higher kerb weight, at that point the 3-series could not match the sporty 2002ti and tii. That was to change a few years after the introduction of this first generation 3 series. There was only one version of the chassis available: the two door saloon, even though soon after the introduction German manufacturer Karrosserie Baur from Stuttgart introduced a convertible version that was available with all engines. More info on the Baur convertibles here. The Baur conversion was approved by BMW and you could even tick the ‘Baur convertible’ option box when ordering your new E21 back in the day! Several other, mostly German, coachbuilders offered convertible conversions as well. Not with BMW’s seal of approval but still. Rare cars these days! For info on the US E21’s 320i and 320iS click here. Still, the cars provided an attractive package for the demanding driver with rack and pinion steering, Mc Pherson struts at the front and independent semi trailing arms at the back. Brakes were all power assisted with disc brakes at the front and rear drums. The road holding performance of the E21 was praised in every road test. 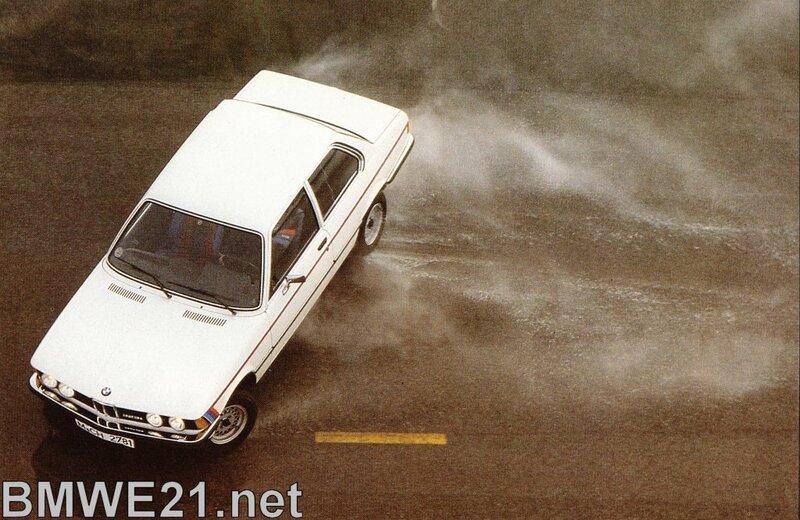 As for gearboxes, all E21’s were fitted with a Getrag 4 speed manual gearbox as standard, optional were a Getrag 5-speed overdrive gearbox and a 3-speed auto version obtained from ZF. Wanted these days is the dogleg pattern close ratio 5 speed sports gear box. For more info on E21 gearboxes click here. For the interior, BMW had already moved to a centre console facing the driver in the E21’s big brother, the E12 5-series. This design was also used in the E21 for ease of operation. Large dials in the clear instrument cluster completed the new design. With the introduction of the M20 six-cylinders fast successors to the 2002 were born. The 320 with carburetor (320/6: introduced late 1977 to replace of the two four-cylinder 320’s) and the 323i with K-Jetronic mechanical fuel injection as the top of the line was introduced shortly after, early 1978. Early 323i with the exhausts closer to each other than on later versions. This version was only supplied the first few months. By the end of 1979 BMW updated the looks of the 3-series. The chrome side mirrors were replaced by plastic integrated and electrically operated ones, the deep front spoiler was changed and the dash was modernized. New and more modern cloth patterns were available and several smaller mods were incorporated throughout the car. Facelifted interior with modernized dash and fresh cloth patterns. Please note the A/C centre console in this example from Spain. The 316 was now fitted with the 1.8 litre carburettor engine and the 318i with a K-Jet injection similar to the one of the 323i was introduced. The 320/6 and the 323i remained practically unchanged. In 1981 the 1573cc engine previously used in the 316 was re-introduced as the budget model 315 which had to miss out on some luxury and details like the chrome ledges around the windows. 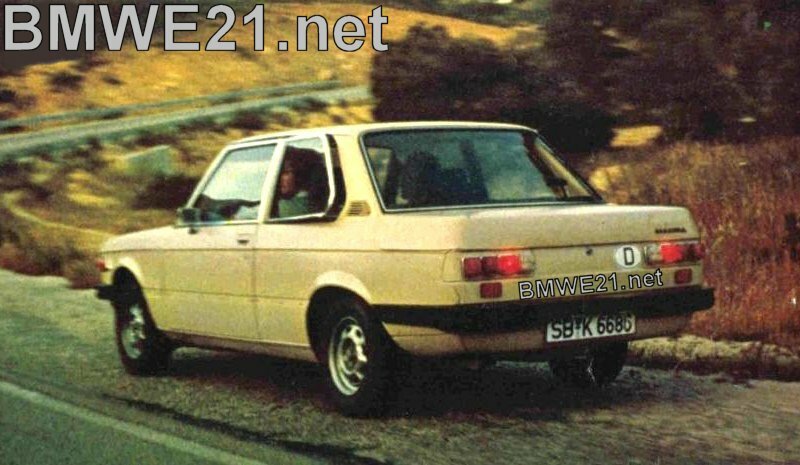 1983 marked the end for the E21 series when the new E30 3-series was introduced, although the 315 remained available as the budget model from BMW until early 1985. From 1975 to 1985, over 1.3 million E21’s were produced!